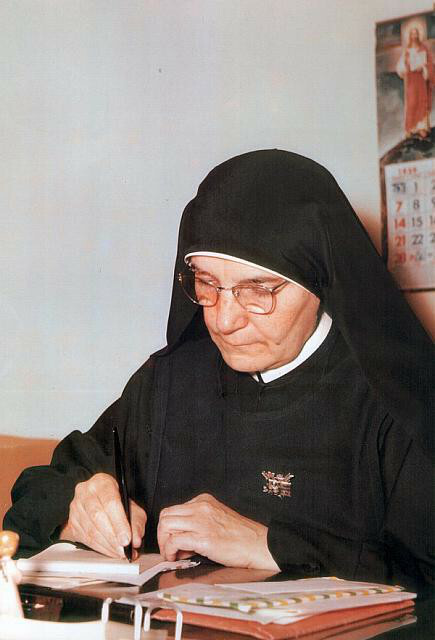 Sr. Tecla Merlo, the first Superior General of the Daughters of St. Paul, was born on 20 February 1894 in Castagnito (Alba), Italy. 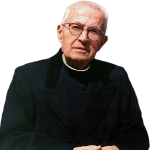 She was one of the first young women to follow Fr. James Alberione when he launched the first feminine branch of the Pauline Family in 1915 and thus she participated in the very humble beginnings of the Institute. A very docile daughter of the Founder, she was his wise and intelligent collaborator in concretizing the divine project that had been entrusted to him, ever-ready to fearlessly take on the instruments of modern communication and to risk undertaking new initiatives. Like a good mother, she also contributed to the beginnings of the other Institutes of the Pauline Family. 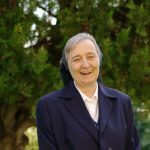 Sr. Thecla concentrated her teachings on a single goal: the call to holiness, which she viewed as the essential condition for effective evangelization with the instruments of social communication. Sr. Thecla’s message, which still remains to be discovered in all its fullness, is a prophetic light for the new evangelization. Her experience of life–“the way of holiness and apostolate”–can serve as an ever-more radiant light for apostles today.